At Mark Lawson Antiques, we appreciate and enjoy style, artistry, and craftsmanship. 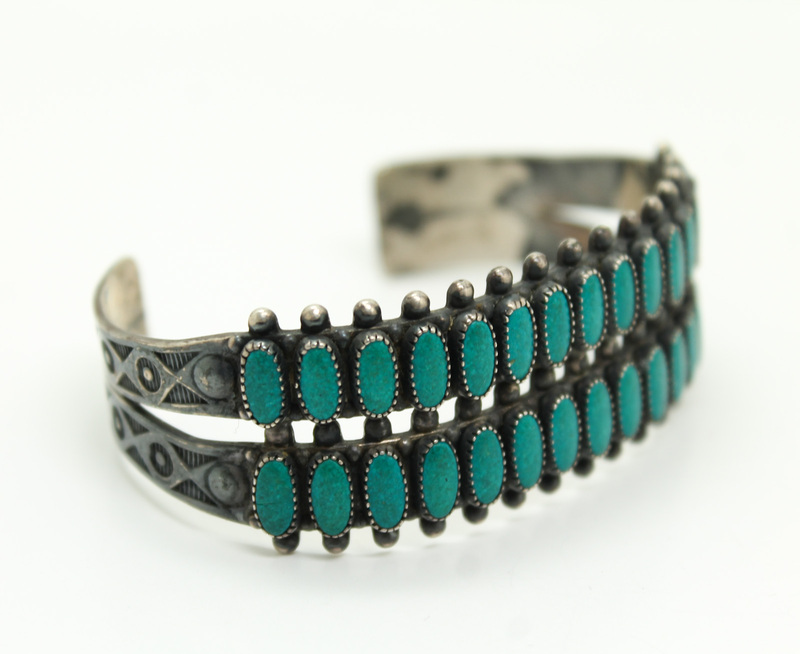 Though we are fortunate enough to see an array of beautiful antique items every day, we take special delight in evaluating and buying Southwest Native American jewelry. This traditional type of jewelry developed in part through contact with Spanish Colonials of Mexico and trade with early European fur trappers. 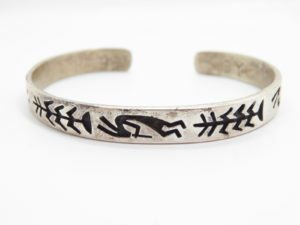 Of course, Native Americans always hand-crafted bodily adornments, but it was not until the 1850s that they began to really work with silver as a medium to create jewelry. The earliest known artist was a Navajo man named Atsidi Sani (c1830 – c1918). He was a noted ironsmith who also learned how to work with silver. 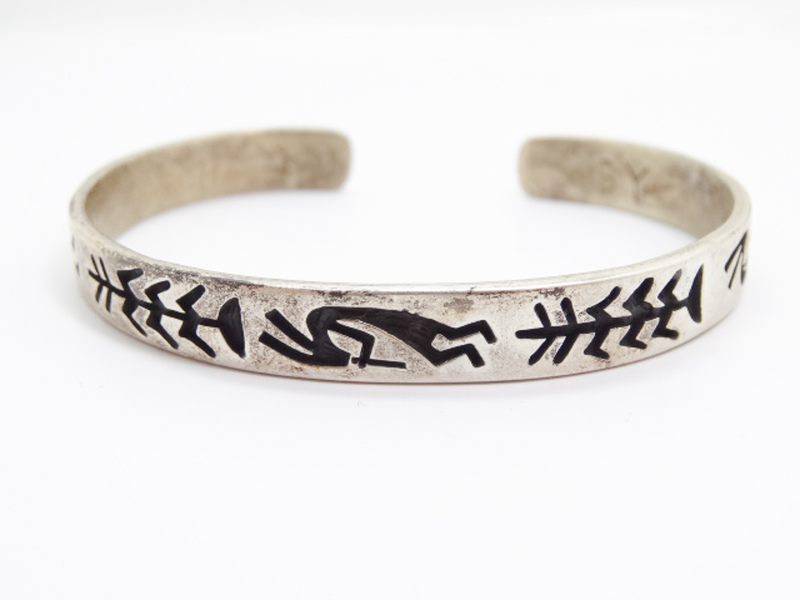 Atsidi Sani realized the potential of the jewelry industry and taught his sons the trade. It was a popular livelihood because it fulfilled the desire to create beautiful objects while also financially providing for families. The profession remains very much a family or community based industry today. The introduction of the railroad in the American Southwest in the 1870s/80s allowed for a rise in tourism. Soon, Native American jewelry became a very desirable souvenir. Trading posts and souvenir shops sprang up all over the Southwest to keep up with the tourist demand. Silversmithing was suddenly a thriving industry on many reservations. The collectible value and demand for the jewelry has waxed and waned over the years, but Native American jewelry remains an outstanding example of handicraft and skill. 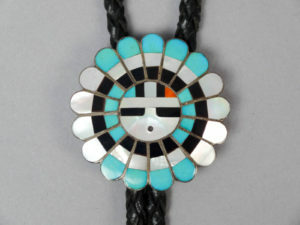 The majority of the Southwestern jewelry that folks bring in for us to buy are products of the Navajo, Zuni, Hopi, and the Santo Domingo Pueblo (Kewa Pueblo). 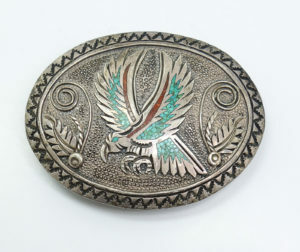 The lion’s share of silversmiths are Navajo, but each group has their own style and design motifs. 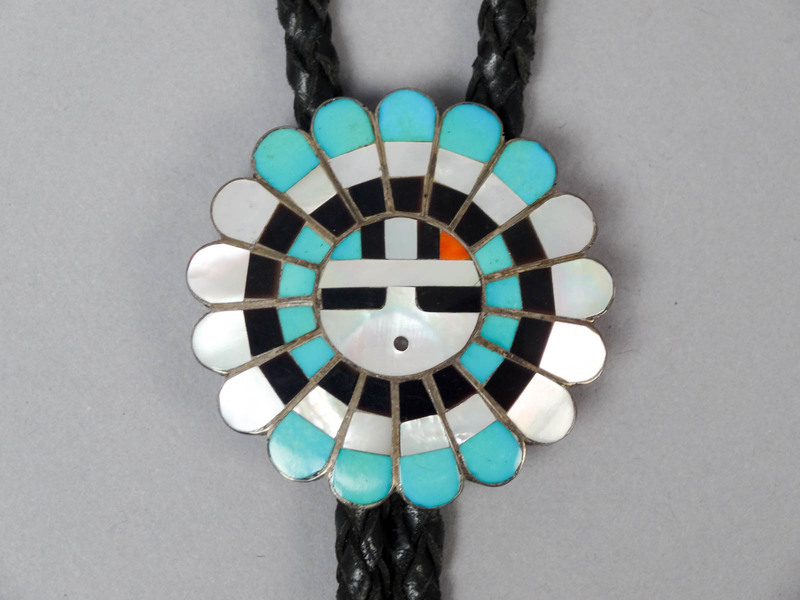 For example, the jewelry of the Zuni tribe is characterized by their fine lapidary work, which includes cluster pieces, mosaics, and inlay. The Hopi are known for their overlay work, and the Santo Domingo Pueblo most notably for their stone and shell beadwork and mosaics. The silver work of the Navajos focuses more simply on the silver itself and engraving rather than on other features such as stones or inlay. Even though each tribe is noted for a certain design style, the use of motifs was fluid and could have been crafted by any one of the Southwestern groups. Signatures certainly help in terms of identification of artist. Additionally, signed pieces sometimes add a premium to the overall value of the jewelry. “Pawn” is a subset of collectible American Indian silver jewelry. The term “Pawn” dates to the 1880s. It refers to a system within the reservation through which silversmiths could pawn their personal jewelry at trading posts in exchange for cash or goods. Sometimes the original owner was not able to buy back the pawned jewelry within the agreed time. In those cases, the trading posts were free to sell the pawned goods. For many Native Americans, the pawned jewelry was of more value than just personal adornment. It was a form of portable wealth and an amulet to protect health. This trade system was a sad testament to the often economically lean times of Native American life on the reservation. It is rare to come across a true piece of documented pawn jewelry. 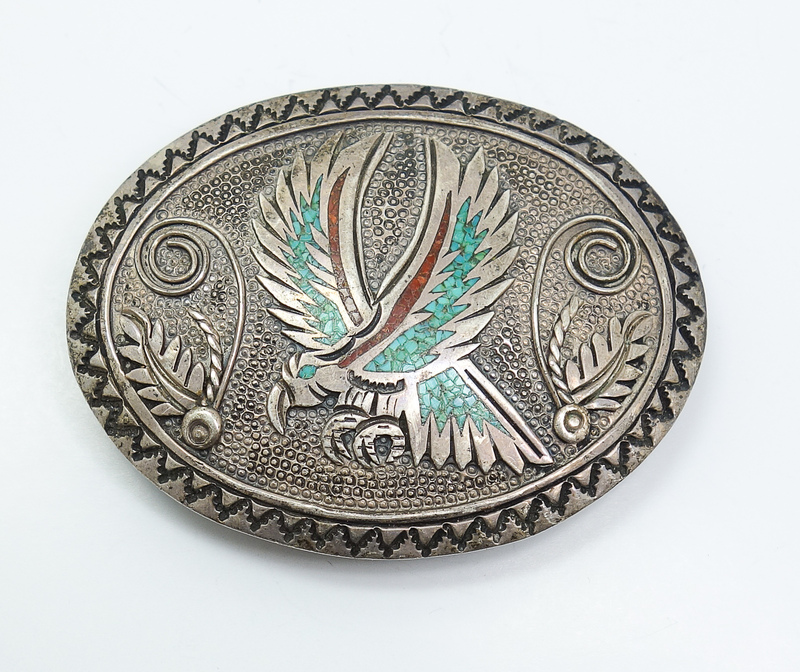 The types of Native American jewelry that we typically see and buy include cuff bracelets, necklaces (often Navajo Squash Blossom motif), rings, bolo ties, earrings, concha belts, and belt buckles. The most common decorative accents are turquoise, coral, shell, and spiny oyster shell. 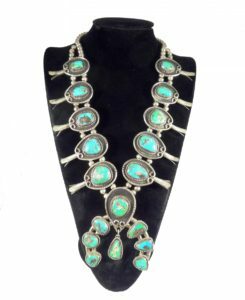 It is important to remember that some vintage and modern Southwestern style jewelry is not always Native American in origin. 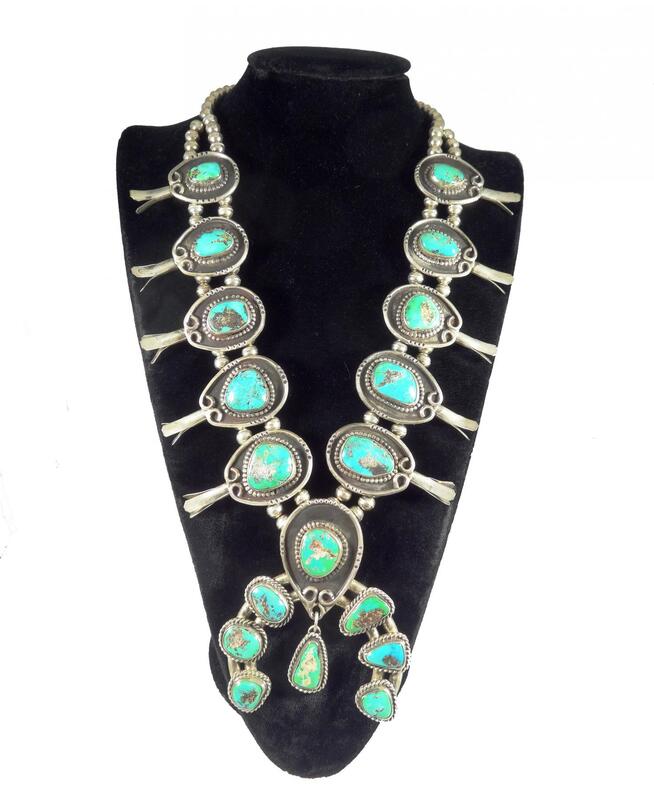 If you think you have pieces of vintage Native American jewelry and would like to find out their value, we would be happy to help.